Recently, there were news reports of municipalities supplying contaminated water and city residents staging protests against it. In fact, a 18 month old baby had reportedly died in Mumbai after drinking contaminated water. Intermittent reports of water contamination appear in Indian media, drawing attention to the overexploitation of natural resources and the harm done to the environment. In 2014, a report filed to the NITI Aayog and Planning Commission found that there are 141 contaminated sites across India. The possibility of exposure to contamination and consequently to degenerative illnesses like cancer will be much higher in such places. About 38.4% of the total region of West Bengal and approximately 44.4% of the entire state population has been reportedly affected by Arsenic poisoning. The amount of Arsenic in groundwater ranges from 0.05 to 3.7mg/l, which is way above the standard of 0.010mg/l laid out by the WHO for acceptable drinking water. Similarly, two other regions affected by arsenic poisoning are Chhattisgarh and Telangana. In this background, a solution to water contamination and pollution is not only needed urgently, but it also needs to be eco-friendly and cost-effective. Further, we should work towards the holistic recovery of the sites, making them a habitable region for human and animals. Bioremediation is one such solution to mitigate water contamination. Bioremediation – the ideal solution? Bioremediation refers to the use of micro-organisms, to decompose the pollutants in the environment into less toxic versions or to eliminate them completely. Microorganisms such as bacteria (anaerobic and aerobic), fungi and actinomycetes are introduced to such sites. The principle of biogeochemical cycle is said to be at work during bioremediation. Scientific studies have found that microbes can learn to adapt to a diverse spectrum of environments. They have an ability to use up endless permutations of electron acceptors and electron donors to carry on their metabolism. Accompanying this are a mosaic of ways they have invented to decontaminate their own environment. These two capacities of adapting to different environments and of detoxifying the environment are the main criteria for choosing the ideal compound of microbic community for bioremediation. Bioremediation has been successfully implemented to clear up contaminated soil, groundwater, surface water and sediments. Moreover, microbe-led bioremediation has been proven to clean up nitro-glycerine (an explosive). Bioremediation is usually perceived as a natural process with minimal need for human intervention. 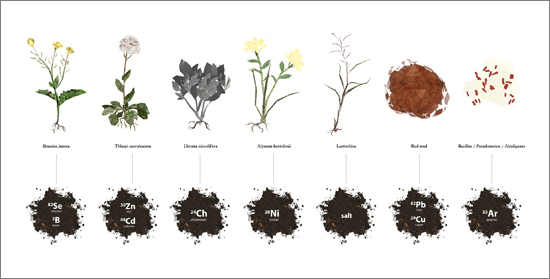 However, during bioremediation of contaminated sites, the task of introducing natural or engineered microbes has to be carried out meticulously in order to hasten the catalysis. Bioremediation, thus, has emerged as an eco-friendly and cost-effective option to deal with the effects of hazardous materials in India. The traditional way of checking the effectiveness of bioremediation is to measure the alterations in total pollutant saturation by using analytical methods like spectroscopy and chromatography. Recently, biosensors (particularly, the microbial whole-cell biosensors) have been suggested as an alternative. The latest invention in field of managing contamination sites is the discovery of transgenic plants that can decompose the xenobiotics in explosives and pollutants. The most prominent example is the herbicide phytoremediation through transgenics. Depending on the contamination site, the plants are decided and conditions are prepared. The processes that are narrowed down for application to the site depend upon the nature of contaminants in the site: their volatility, decomposibility, solubility and bio-availability. There are three factors which determine the success of bioremediation procedure at a site: the chemical scenery (electron acceptors/donors, potential nutrients and stressors), catabolic capacities and abiotic landscape. The chemical scenery includes factors like the redox status, temperature, humidity, matrix status and conductivity among others. There are a series of processes involved in bioremediation that integrate the conditions of water, air, soil and other aspects. The pollutants which are generally disposed can be classed under two heads: organic and inorganic. The inorganic pollutants generally include heavy metals, radionuclides and metalloids while organic ones include petroleumm hydrocarbons, explosives, pesticides, chlorinates solvents and wood preservatives. Apart from the process of phytoextraction and phytoimmobilization, bioengineering is carried out to deal with erosion and wetlands are constructed. Hydraulic barriers are installed along with the establishment of green-belts, roofs and walls. The six primary processes that constitute bioremediation are: 1. Phytohydraulics, 2. Phytovolatilization, 3. Phytosequestration, 4. Phytoextraction, 5. Rhizodegradation and 6. Phytodegradation. region. Bioremediation has worked with triumph in Arizona where herds of cattle were employed for stabilizing the soil using their hoofs and excreta. The amount of time required to measure the effectivity of bioremediation on a contaminated site varies from one area to another. While some could be efficacious immediately post-planting, others could take up multiple seasons to interact with the site. 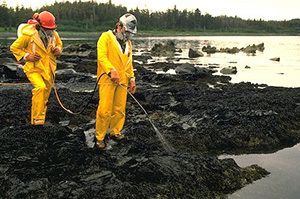 The cost of bioremediation depends upon the condition of contaminated site. The expenditure generally includes labour, heavy machinery, soil alterations, licenses, field tools, planting store, security, water control techniques and fencing. Hauz Khas Village is the center point of cultural life in Delhi. Within HKV is situated a fort which was revived in 2007 after the lake dried up around 2003. Following its revival, the lake faced mismanagement causing pollution and contamination. The lake was restored using bioremediation. It involved the use of anaerobic and facultative bacteria strains. The quality of water showed considerable improvement within 25 days of the initiation. In Gwalior, the waterscape of Baija Tal and Italian Gardens received bioremediation treatment in 2007 and was restored. I find it cool when you said that a community can make use of certain kinds of bacteria in order to eat heavy metals, pesticides, or explosives found in the soil to restore it back to its natural health. With that in mind, this reminded me of my uncle, who just bought a used industrial complex last month to turn into a farm. To help him, I will recommend him to a local soil remediation service starting tomorrow. That way, he can have his future rice and corn fields ready so that they can start earning.